My truck has the towing package and camper package. It is listed at 13,900 max. I doubt that the older Ford was that high. The newer Fords and Dodge are up to 16,000 but it would depend on the state whether you can legally tow that much. In this state the Farm applications reduce the restrictions but I would think you would be better with a larger truck. I agree with what Peters said. Also you may want to check your goose neck hitch rating. Many older ones are only rated for 10,000 pounds. liljoe, the 15,000 lbs. definitely exceeds the published tow rating capacity of your truck. That having been said, I see folks towing horse trailers such as yours with similar vehicles on a regular basis. In my opinion if you equip your truck with a gooseneck hitch rated for this much weight; (i.e B&W's Turn Over Ball gooseneck hitch is rated for 30,000 lbs. towing and 7,500 lbs. tongue weight)that should address the hitch capacity issue. I am sure other makes of hitches have similar ratings and your current hitch may as well. Contact the manufacturer of your current hitch for this info. I posted a link to B&W hitches to give you an idea of hitch ratings and idea of working weights. GVWR is another issue. Does the loaded trailer and your truck as equipped exceed its GVWR? If so, this is most likely do to braking ability but is also a matter of transmission/power train capability. If you are close to or exceed this weight; an exhaust brake may help make up the braking performance gap. 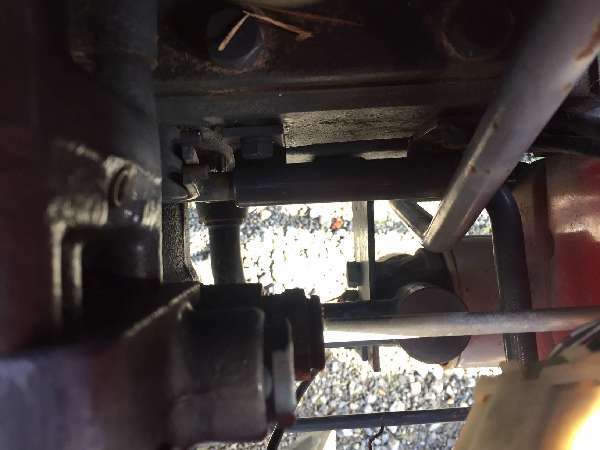 With your trucks 5 speed manual trans., an exhaust brake will be particularly effective. Exhaust brakes are a bit pricey but very much worth it if you pull heavy. Take a look at your hitch capacity, your trucks tow capactiy, AND your trucks GVWR. I am pretty sure you can work up a combination that will work for you. Let me preface all of the above that this is my opinion and the weight combinations as I understand them. With some caution and conservative operations, I think you will do fine with your truck and trail. Just take her slow and easy. Joe, I think you need to re-check how much that trailer weighs empty. I have a REALLY heavy (all steel) tri-axle trailer for hauling our Belgians around, it weighs a little over 4,000 pounds, I find it hard to believe that your trailer weighs more than double that much. I suspect that what you are looking at is the GVW (Gross Vehicle Weight) rating which is the MAXIMUM weight the suspension can carry, including it's own weight. The CURB (Tare) weight is the number you are confusing it with. The trailer probably only weighs about 3,000 pounds, which together with 5 horses at another 6,000 pounds would come to 9,000 pounds, the maximum weight it can carry. That is a good point Murf! I was thinking that was a mighty heavy trailer. I am not a horse person so I was thinking it was one of those big show horse trailers with the A/C and camper section built into it. Ditto Chief, although I have the Sundowner cats and I don't thing they make on that will haul 5 horses and have large camper. I have a 4 horse trailer with a full living quarters, A/C bath, shower, kitchen, etc. It is 28ft. on the floor. Steel frame aluminum skin. The GVRW on it is 10,000 lbs. I pull it with a 1999 F250 super duty w/ the Power stroke and the auto trans. The only things I did to the truck was add 1 leaf to the rear springs and reprogramed the computer. I haven't had a bit of problems pulling all over the country. Even thru the hills of Missouri. I do have the B & W hitch on the truck. It does a great job and I,ve pulled in all kinds of weather. Also you asked if the truck could handle it, It comes down to the driver being able to handle the truck that can handle the load.